21/05/2017 Corporate Social Responsibility, Creating Shared Value, Poverty Reduction StrategyComments are off for this post. Corporate social responsibility (known as CSR) has been used for many years in international development as a poverty reduction strategy. It may be used either in the form of direct funding to non-profits, community service organisations, even employee community projects, and by providing in-kind donations of products and services to non-profits and underserved populations. Is corporate social responsibility (CSR) the best strategy to use to reduce poverty? In this blog post we consider the use of CSR and whether there is a better alternative. Although corporate social responsibility has an important role to play in poverty reduction, we are now seeing a subtle shift in the language being used. Whilst most organisations talk in terms of corporate social responsibility, a new concept called creating shared value (or CSV) is being mentioned. The term ‘creating shared value’ (CSV) was developed by Michael Porter and Mark Kramer (See their article in the Harvard Business Review ) or listen to this short video. Both terms can be described as being on a continuum in terms of the degree of value that is created. 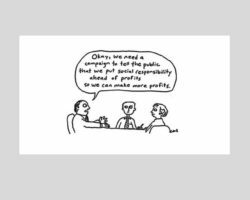 Consider CSR lying on one side of the continuum (where there is concern to maximise company profits to the exclusion of all else). In comparison, CSV lies on the other side (where there is balance of profits and social objectives built into the company’s strategy). Whilst CSR is considered an inactive approach to poverty reduction, creating shared value is a proactive approach. In between these two extremes exist various philanthropy initiatives that use reactive or active approaches. Microfinance is an example of an active approach to philanthropy, also known as inclusive business, that brings much needed services to previously excluded communities. The organisation Pro Mujer is an example of an organisation that provides financial services to women in impoverished communities in Latin America. Since 1990, they have served over 250,000 women and provided over $2.8 billion in small business loans. What are the core features of ‘corporate social responsibility’ versus the new concept of ‘creating shared value’? So how does CSV compare with CSR? The main differences between corporate social responsibility (CSR) and the new concept of creating shared value (CSR) are shown in Table 1 below. Which concept do you think has better features? Type of approach An inactive, wealth oriented approach. A proactive, welfare oriented approach. Perception CSR is perceived by the business in terms of a cost. 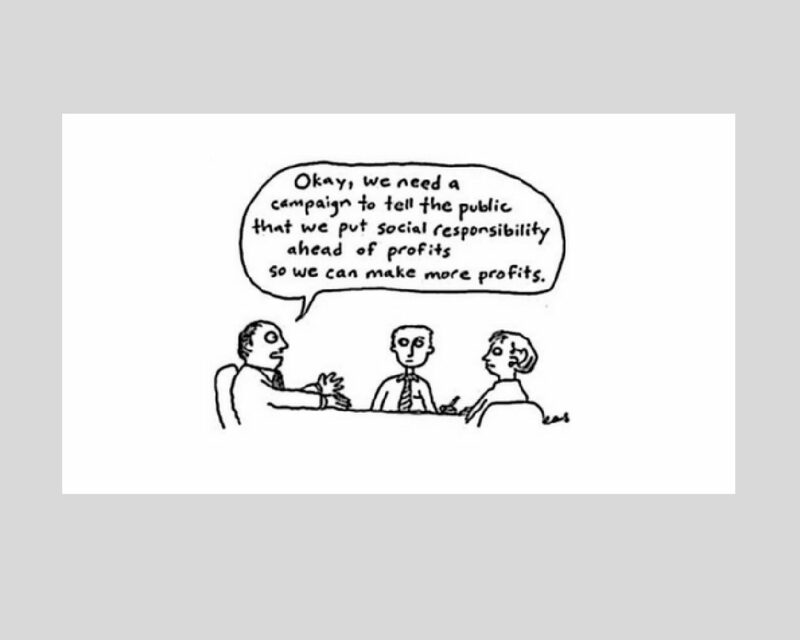 CSR is perceived by the business in terms of profit. 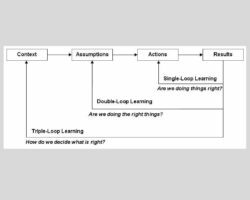 Focus Business is doing what is required (compliance) or what it perceives it is responsible for (doing the right thing morally or ethically). Business is doing what is desired to meet specific needs. Value CSR provides value by reducing negative impacts and enhancing positive impact (e.g. reputation) by doing good with business profits. CSV is perceived as a business opportunity to develop new products/services or access new markets by addressing significant issues that are faced by society. Risk CSR avoids risk by enhancing reputation. Risks are dealt with by partnering to meet a shared need (social, humanitarian and/or environmental), whilst delivering a return on investment. Mechanism CSR is an isolated strategy e.g. corporate citizenship, corporate philanthropy, cause marketing. Philanthropy is built into the business strategy. Re-alignment of the business strategy (as a response to external challenges in the marketplace) to the needs of the partner(s). Organisation builds a sustainable corporate story. Driver Discretionary practice (payroll giving, contributions-in-kind, pro-bono service and volunteerism: sharing the company’s products, expertise, talent and time). Response to compliance and/or external pressure (risk management due to change in external legal business environment, Public/Government Affairs, Community Relations, Sustainability. Response to internal pressure (Foundation departments, employee pressure). Internally generated in response to external market conditions e.g. creation of a new service or product, breaking into a new market. Provides the business with a competitive advantage and chance to create new revenues and profits. Adapted from Source: Porter, M. E., & Kramer, M. R. (2011). The big idea: creating shared value. Harvard Business Review, 89 (1), 2. How can we identify whether Corporate Social Responsibility or Creating Shared Value is being used? Reconceiving products and markets: Creating or selling products that address unserved or underserved customers. Redefining productivity in the value chain: Utilizing resources, employees and partners to boost efficiency. Enabling local cluster development: Supporting the community by improving skills, suppliers and institutions. CSR does not provide the levels of shared value that Porter and Kramer describe above. Where businesses pursue CSR activities these are often isolated projects, often reflecting the personal interests and preferences of the business leaders and senior executives. Sometimes employees are engaged to select from a list of beneficiaries and charities where an organisation’s CSR projects will be focused. Whilst such activities may have the feel good factor, they usually offer minimal or one-sided benefits to either the business or society. What about philanthropy? Where does this fit along the CSR continuum? The use of philanthropy may be considered to lie in the centre of the CSR continuum. Although it may confer larger benefits on society, its reputational benefits to the business can often be perceived as propaganda (or marketing hype). Such initiatives are not shared value where attention is focused primarily on building a company’s reputation with little real benefit to society. This form of CSR is often used as a form of emotional advertising – a marketing tactic. 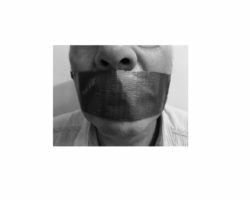 It is a risky strategy if it exposes a gap between the company’s words and actions. For example, consumers can feel an emotional connection when they buy a ‘fair-trade’ product and later discover that the company has behaved badly. Low wages and poor working conditions are rampant in the fashion industry, with 98% of garment workers around the world not even receiving a living wage. The fashion industry is currently the second most pollutive industry in the world behind oil. Nisolo, a US based retail company working in the fashion industry aims to disrupt things by pushing the fashion industry into a more sustainable direction, by creating social impact in the supply chain. Nisolo is crafting its brand image to demonstrate that it cares for the planet and producers as much as it cares for the end consumer. 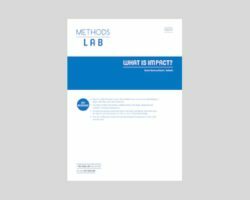 Their impact report aims to detail some of what their organisation has accomplished in the last few years, yet apart from lots of glossy photographs and information about outputs achieved, the report lacks detail to explain how it is achieving its outcomes. How does creating shared value offer an alternative poverty reduction strategy? Generating shared value through the use of a creative partnering offers an alternative approach to poverty reduction. In such ventures where business works together with community groups, charities or civil society organisations, the focus of the business moves beyond avoiding risks or enhancing reputation towards addressing major strategic business challenges, which in turn provides wider societal benefits. Does Creating Shared Value offer a better poverty reduction strategy? 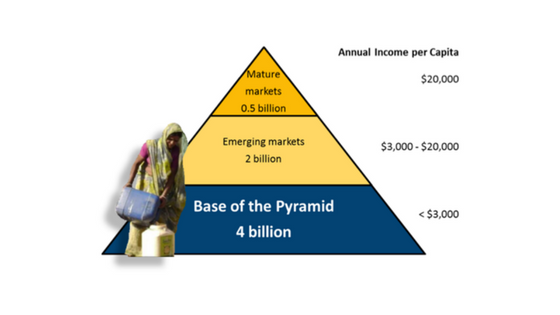 Most businesses focus on the top or middle of the economic pyramid (See Figure 1 below). The population at the bottom of the pyramid (the low-income population) remains largely untapped. This can be attractive to some businesses. Imagine a business adapts its business model to take advantage of working with people who are at the bottom of the economic pyramid, such as those in developing countries. This population may be excluded from a business’ value chain. Such groups can be used to create new livelihood opportunities, by becoming suppliers, distributors, and retailers for a business. By using a low-income population to create new livelihood opportunities this improves their earned income capacity. For the business, a new consumer base can be developed from a previously under-served community by using new suppliers who have otherwise been ignored. Each party taps into the resources and expertise of the other, creating an area of overlap. Where is the overlap? Where is the shared value? By taking into account the pressing challenges or needs of society and business, creative solutions can be developed. Shared value is the area of overlap where significant gains can be achieved for both sides. Not only do low-income populations benefit when business provides access to affordable goods and services, or creation of new livelihoods – businesses benefits too by turning underserved populations into new consumers and a new source of supply. When businesses develop new products, services, and business models in this way, it has the potential to create a competitive advantage. For example, IKEA is using CSR proactively to create shared value. Research by Stockholm School of Economics reveals that IKEA has fully incorporated CSR into their business model as a means to ensure survival of their brand reputation. IKEA realises that consumer attitudes are changing – there is a shift towards customers expecting for-profit companies to care about society, the planet and do more in terms of CSR. You could argue that IKEA is creating shared value to ensure that it does not get left behind, as doing so could mean extinction of the business. Nestle discuss their idea of what shared value means to them in their recent report. Is shared value really a new concept? The idea of shared value is not really new. Corporate involvement in poverty reduction strategies goes back to the industrial revolution. In the 19th century the founders of some major corporations not only invested in the set up of their factories, they also created ‘company villages’ and ‘social programmes’ to look after the wellbeing of their workforce and their families. One example is the creation of the sustainable Bournville Village in the UK, built for the Cadbury’s workers. What is driving the shift in agenda towards creating shared value? Where is the shared value agenda headed? Although there have been some early adopters of the shared value agenda, it may take some time before this becomes the dominant poverty reduction strategy. It is likely that the concept of creating shared value is not well understood at present. Businesses may not even be aware of the concept. As progress with the SDG’s are monitored each year by Governments around the world I’m sure the shift will become more apparent as Governments create incentives to encourage more businesses to get on board with reducing global poverty. In the meantime, the role of corporate social responsibility has an important part to play in poverty reduction. 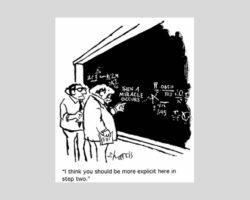 ← What’s wrong with the Theory of Change?